So let's unpack this step by step. The EYCA Policy Recommendations for improving EU citizenship form the end product of the European Year of Citizens Alliance (EYCA). They were presented to the European Commission last Friday, December 13. The EYCA was formed, as previously explored, in 2011 through the bundling of 'civil society organisations' and the liaison of the European Economic and Social Committee, a consulting body for the EU. The over 60 members of the EYCA represent numerous national and internationally active organisations. The initiative itself was started, and funded, by the European Commission with the aim to "foster citizens' participation in the democratic life of the European Union". Thus, an exercise initiated by the European Commission, through an alliance funded by the European Commission, resulting in a report predominantly written by NGOs under the auspices of the EU-funded umbrella organisation. The word missing in this summary is, of course, citizens. Lithuania lives in the future they say around here – Lithuania always is one hour ahead of Brussels, and most of Europe. Perhaps that explains some of the ear-ringing - or it could be the manifesting after-effects of two days of seemingly nonstop conference. The conception of a modern-day conference is nowadays in the need of some mental adjustments. Instead of a convergence of critical minds, the modern-day conference is actually a customary mating ritual, now such a common and experienced practice in the horribly unsexy circles of hobnob, that it can be a daunting and exhausting experience for the virginal and uncorrupted practitioner who is fresh on the scene. Therefore, I'll stick to the three quick and dirty B's in this post: Book, Bloggers & Beer. I've received definite confirmation of the itinerary to Vilnius to attend the closing conference of the European Year of Citizens on 12 and 13 December as representative of European Tribune. Opening addresses will be given by the leaders of Lithuania, the Vice-President of the EC and Commissioner for Justice, Fundamental Rights, and Citizenship, Viviane Reding, European Ombudsman Emily O'Reilly, the first leader of Lithuania after the restoration of independence Prof. Vytautas Landsbergis. Towards the 2014 European elections. During the last plenary session (13 December), announcers will present the topic of each group and summarize the discussion. While I've received little to no further information on the definite programme, the draft programme outlines this in further detail. A brief introduction on the EYCA and a request for input below the fold. The IPCC released its first of three assessment reports on climate change, available for download here. The report, still without a slick format, provides an opportunity to compare findings and scenario's in regard to its most recent counterpart, released in 2007, available for download here. I will compare both reports of Working Group 1 on a number of climate topics that have drawn my interests over the years. With over 2200 pages, the new report is staggeringly huge, more than twice as thick as its predecessor, and the number of covered topics is vast. I start with comparing the reports on climate extremes. Or, specifically, a woman: Laura Poitras. Every Batman needs a Robin, every Holmes a Watson, and every Watson has a Crick, every Woodward has a Bernstein. Appealing stories of superheroes or heroic super-stories, the formula of timely partnerships seems to apply in both. 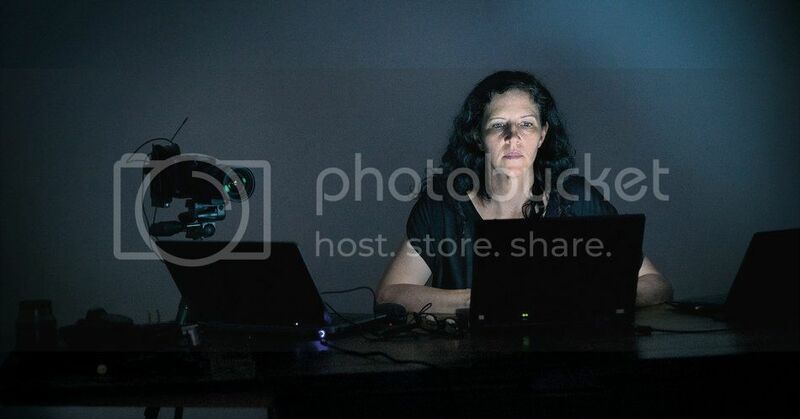 This engrossing portrayal of Laura Poitras in the New York Times tells how the news story of this year, and quite possibly of much longer, was not just the work by prolific journalist Glenn Greenwald. But what's more, the portrayal is also underlining the encroachment of the shadow government of the USA. And finally, the story provides a strong testimony of the virtues of advocacy journalism. Below the fold I lift out a few noteworthy snippets that I found particularly outrageous or revealing. [Update] 14:20 CET: Minor edits and additions to the original text. The above is from this Economist article, also previously discussed in Jerome's latest wind diary. While the discussion in the diary revolved around the electricity spot price, there were several other aspects left unexplored. For example, I didn't find an explanation for the increase on the European industrial electricity prices compared to the USA. Specifically, The Economist hints (though nowhere says outright) that the doubling of German industrial electricity prices is a result of rising surcharges due to the expansion of renewables, yet the graph also displays a comparable rise in the European price of industrial consumers - so how does that work out? Furthermore, the Economist writes about a 25 percent increase in German household bills in the past three years, but doesn't display a graph to compare with industrial electricity, nor with European households. In all, not very satisfying, and after I began digging, it was difficult to stop. But the topic is exhaustive and this diary is thus far from conclusive. Rather, it represents a first overview of the tinkering so far.